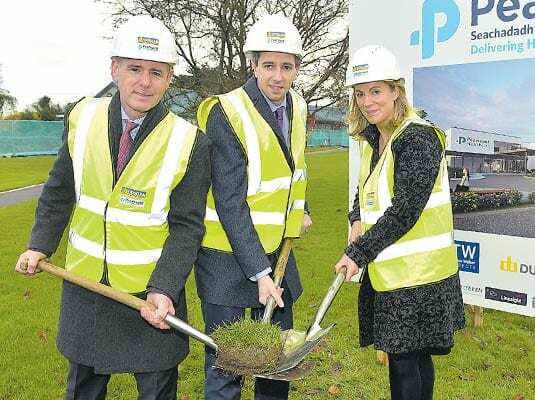 MINISTER for Health Simon Harris formally turned the sod on Peamount Healthcare’s new 100-bed development on Wednesday, December 13. This €24 million development was funded by the sale of lands belonging to Peamount Healthcare and a significant capital investment from the Health Service Executive. Minister Harris noted that, in the past, Peamount had made an incredible contribution to tackling tuberculosis and added that catering for the needs of older people was the next challenge facing the hospital in the years to come. He said: “What you are doing here today is already beginning to fulfil that challenge providing residential care, providing short stay care, looking after people with complex needs and what you are doing today is adding more capacity to that. “In building a new unit and turning the sod on that today we will see 100 beds, 50 will enable residents to have better facilities because we know parts of Peamount are very old and 50 beds will provide us with more neuro rehabilitation capacity, something we badly need in this county. Peamount Healthcare has a long history dating back to 1912 when the facility opened as a tuberculosis sanatorium. It quickly became the largest such unit in Ireland and developed as a centre of excellence delivering high quality care to patients and service users. In the 1960s Peamount changed service direction and opened residential services for intellectual disability. Since that time, services have expanded and developed and now include a range of services for older people and people with intellectual disabilities. Suzanne Corcoran, chief executive officer of Peamount said: “This development will be a support to the acute hospital system for the early transfer of patients for follow on care. 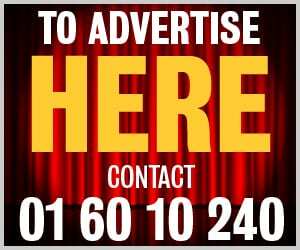 “This event marks a bright future for Peamount, its service users and staff, as we announce our development and reposition our services for the future.